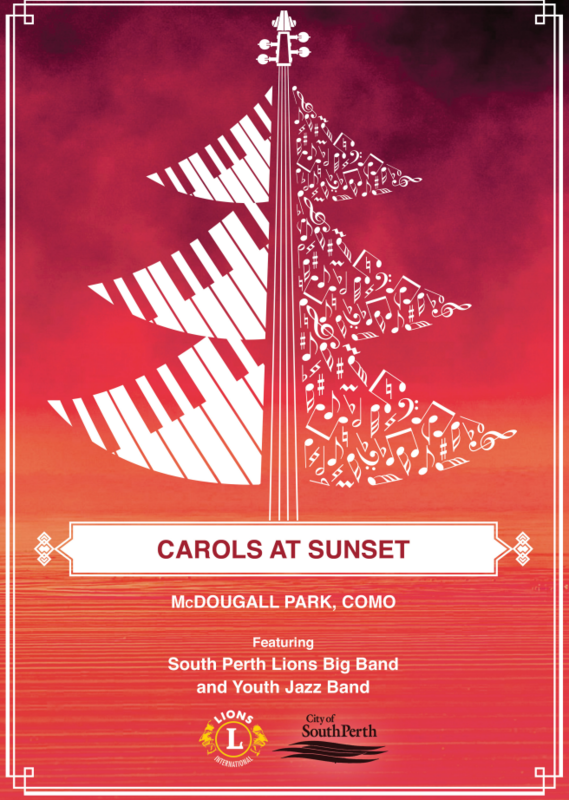 The South Perth Lions Big Band presents a community Christmas concert in the City of South Perth. This is held each December in McDougall Park, Como. Entry by gold coin donation. It’s a fantastic fun family event, complete with colourful candlelights, a sausage sizzle, Mr Mocha Coffee Van and a visit from Santa on his sleigh! All profits go to support the charitable and community services of the South Perth Lions Club. We are very grateful to the City of South Perth for their sponsorship of this community event. This year’s Christmas Carols at Sunset is on Sunday 17th December 2017, starting at 6.30pm. Do come and sing along with us!